How to use the Operator Account to make aesthetic changes to essensys Connect for all users. 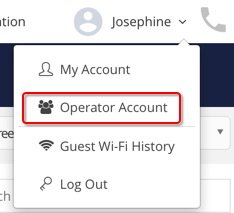 Use the operator account to make changes to the appearance of Connect to all clients and users. Add and update an Operator Logo. This is done by browsing for the picture that you want to represent the company and click Upload. Please note the recommended size and dimensions. To change colours click on the coloured squares to the left, and select from the pallet. 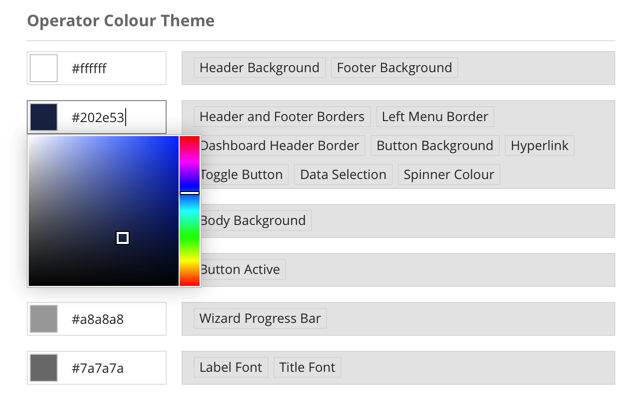 Elements of Connect to which these colour themes are applied are listed next to the colour pallets. Select a Background picture from the preset selection, or upload your own, again noting recommended size and dimensions. Restore to Defaults removes any settings that have been changed and restores all original settings. All changes will be effective immediately, however they must be saved (Save) to remain permanently. Selecting Cancel will revert all settings back to how they were at the beginning of the session, and you will return to the home screen.